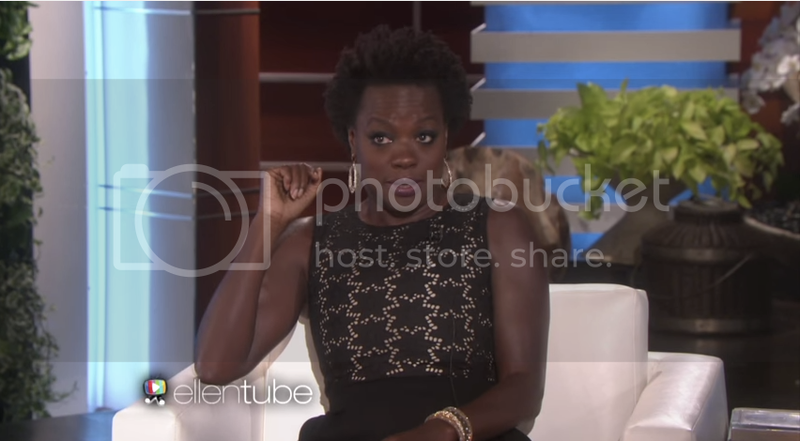 Viola Davis on that Stunning Scene in HTGAWM: "I Was Adamant About It"
Home Ellen entertainment How to Get Away with Murder interviews television Viola Davis Viola Davis on that Stunning Scene in HTGAWM: "I Was Adamant About It"
Viola Davis, star of ABC's How to Get Away with Murder, sat down with Ellen to talk about her role as Annalise Keating. The role is a departure from the most visible characters we've seen Viola play. Ellen asked her about the numerous sexual scenes in the show and she said, "It's been very liberating for me because usually when people see me doing these sexual scenes they say, "Is that Aibleen Clark from The Help?" Yeah, it's me!" I was so adamant about it. I was so adamant about it. I said, Listen, she can't go to bed with a wig on. She cannot be in that bedroom with a wig on because women don't go to bed with their wigs on. I said a whole portion of women out there are marginalized. I want to be a real woman. Let's go for it. I'm a character actress. But listen by the time we got to the scene with all the crew members around me--taking my wig off and my makeup. I said ok maybe I shoulda rethought this. I said can I keep my lashes on?